When my friend Bree and I see each other work always seems to be the reason, but the times we all get together and have some fun are the best. We try to make time outside our busy lives of working full time, me being a Mom and Bree a full time student to just hang out. Bree and I know many people all with birthdays right around one another and were thinking of planning one big party. Being the money savvy gals we are we decided to see what the cost would be like for a big party. I live down the street from Sam's Club so we grabbed some coffee and made a list. 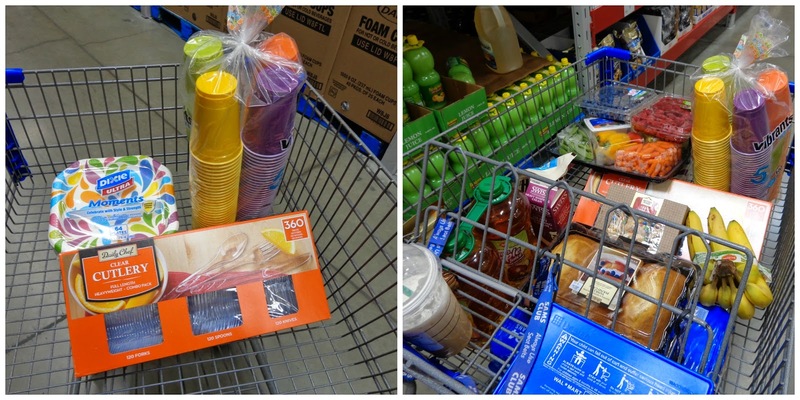 Sam's Club is one of those stores you can shop and get everything you might need all in one stop. It is my go to when we are planning a big party. The first thing Bree said to me when we walked into Sam's Club was "I have never been in a Sam's Club but I have been in other big warehouse stores". I knew this was going to be a great trip to show her the prices and quality of the products for a party. Bree is known for the great parties she throws and the goodies she bakes. My son even knows the Bree makes all the goodies I bring home from work. He asks me if I have a "special treat" for him and I know he means did Bree make me anything lol. 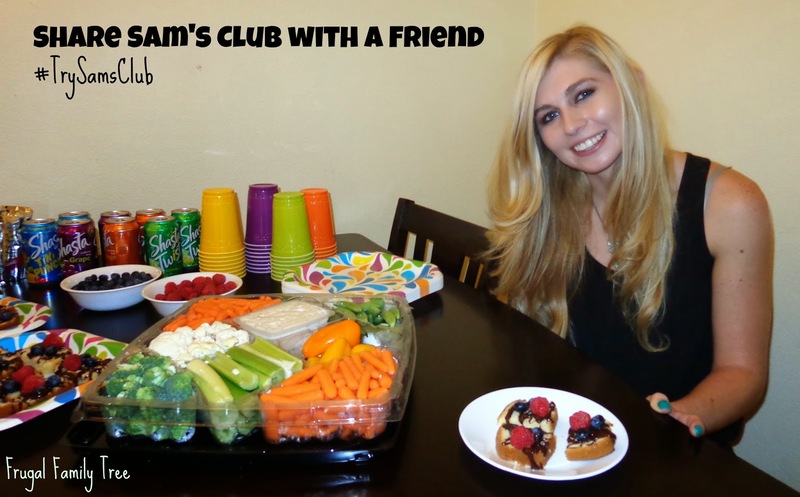 Being the baker she is and her busy life I wanted her to see how convenient Sam's Club can be for parties and baking. The first thing we had on our list was disposable plates, cups and utensils. The only not so fun part of a party is the clean up, so I figured if we bought all disposable items it would keep clean up simple. We wanted to have healthy options for our party so we shopped for fresh food like fruit and a veggie party platter. Beverages are essential to a party as well. At Sam's Club they have a huge assortment of beverages to select from. We picked the basics of apple juice, water, soda and juice boxes. Our favorite section in Sam's Club is the bakery area. I showed Bree how all the items can be used for semi-homemade treats. I know she loves to bake from scratch but I wanted her to see how she can save time while planning a party with pre-made items. We decided we would make bite size cake treats instead of a traditional birthday cake. We purchased vanilla pound cake, chocolate chips, heavy cream and fresh blue berries & raspberries to make our chocolate covered cake topped with fruit. Pour 4 cups of chocolate chips into bowl, set aside. Boil 1 1/2 cup of heavy cream, pour over chocolate chips, stir slowly until blended. 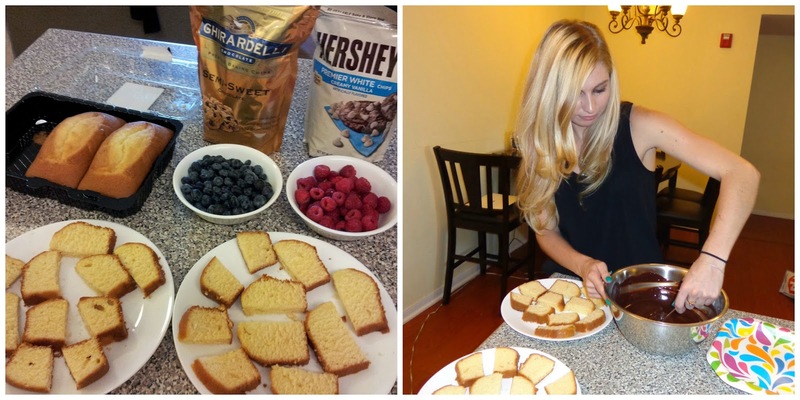 Cut vanilla cake loaf into even slices, cut in half. 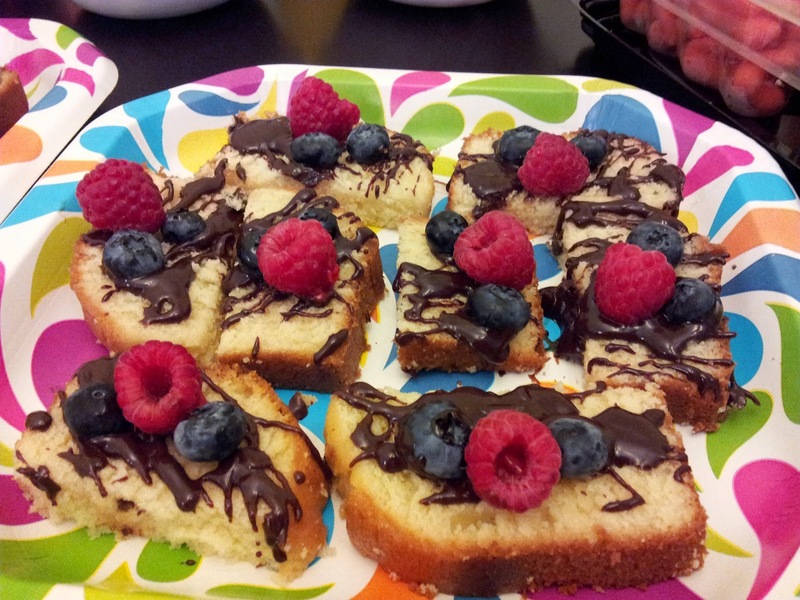 Drizzle chocolate glaze over cakes, top with fresh fruit, place in fridge 30 min to set. Now that I have shared Sam's Club with a friend and planned a party we will spend the rest of the afternoon eating all the delicious food we bought and made. 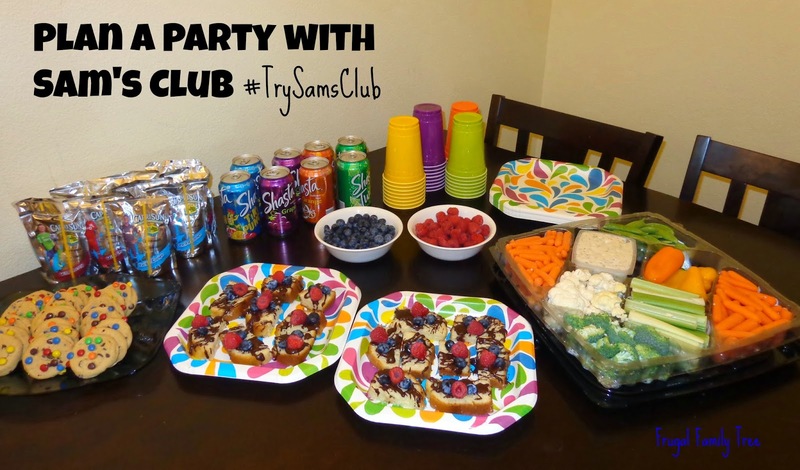 I am sure Bree will be shopping Sam's Club for her next party. One of the problems of modern lifestyle is getting enough fresh fruit and vegetables. This means going to the shop or store regularly to get fresh fruit as it goes off fast even in a fridge. This problem can be contained by removing the gas that accumulates in the fridge that spoils the fruit or veg. This gas is natural and comes from the fruit or veg itself. this is done by absorbing it in a pod. These pods are called 'STAY FRESH PODS' and genuinely save the frustration of frequent shopping for fresh fruit or veg. They keep it much longer depending on the variety and amount stored. This technology has been in use for quite a few years now, is safe and reliable. Buy them on Amazon.com via http://www.amazon.com/gp/product/B00IGAX2W4 now! and find out how your problem is solved!